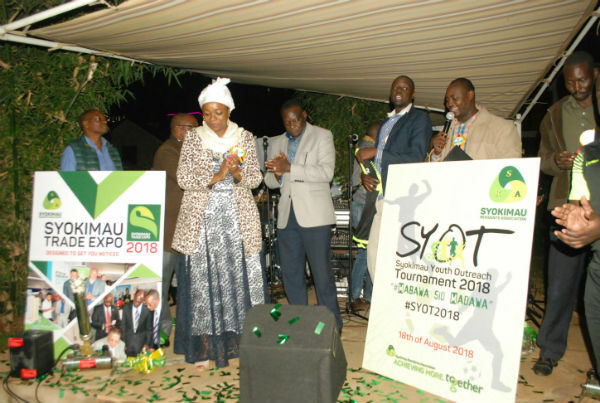 Syokimau Residents Association | Achieving more. Together. SRA, Registered under the Laws of Kenya is a residential membership driven association focused on sustaining orderly development,inform,educate and promote awareness among the residents on matters public service delivery..
Syokimau Estate is a controlled development estate. The minimum subdivision allowed is one single dwelling family unit in and eighth of an acre. SRA has fought hard to maintain this standard against rogue developers whose plan is to densify the estate with multiple dwellings and undesirable commercial developments . We have engaged the county assembly of Machakos where our zoning plan was passed in 2017. Our robust Welfare and publicity committee has taken residents welfare as its core mandate. In this effort SRA have been able to secure very beneficial insurance Policies for our members. One of these member’s insurance policies is the Last Respect insurance Policy provided by APA insurance ltd. We have seen tremendous benefits to our members on this policy among other SRA social Benefits. One of SRA priorities is our environment. With commercial interests increasing day after day, SRA has had to go to court in numerous occasions to fight rogue developers. We have been able to stop or repulse many environmentally harmful developments .Our Environment committee Leader has worked tirelessly to engage NEMA / the Environment Tribunal who have been our very helpful partners in securing our environment. Over the years SRA has been a community voice on behalf of its members . With the onset of Devolution, Public participation has become core to Government services delivery . Syokimau Estate is well represented by SRA on this front . We have worked with the Central Government as well as County government departments with notable success. SRA acquaints its membership and the general public residing in Syokimau with aspects of development they may not be aware of. Through our Welfare and Publicity committee, SRA runs a robust social media that has helped a great deal in keeping the membership well informed . SRA has embraced technology to its fullest. Our elections are also conducted online and a member can vote from any corner of the globe. This is our advertisement banner. If you advertise here you will get a free post on our facebook page. For all advertisements on this platform please carry our due deligence . SRA advertisments are as received.